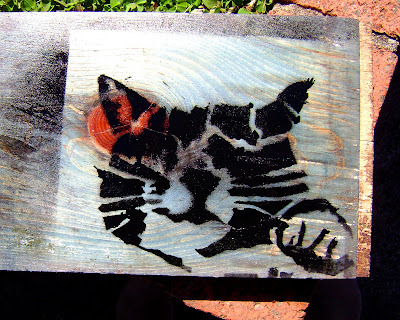 In tribute, I cut a Zoe stencil...here's a little misting on an old piece of a wooden bench. What a beautiful tribute. Very, very nice. I am terribly sorry about your cat. They are such wonderful companions.